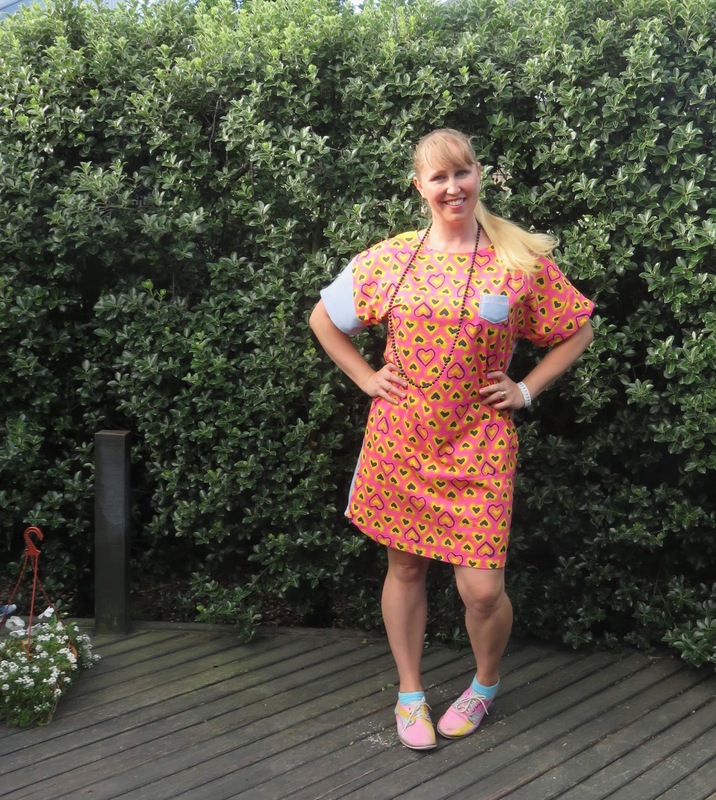 Last year I realised I kept admiring 't-shirt dresses' on mums at school. This year I've made it a goal to make myself a few. 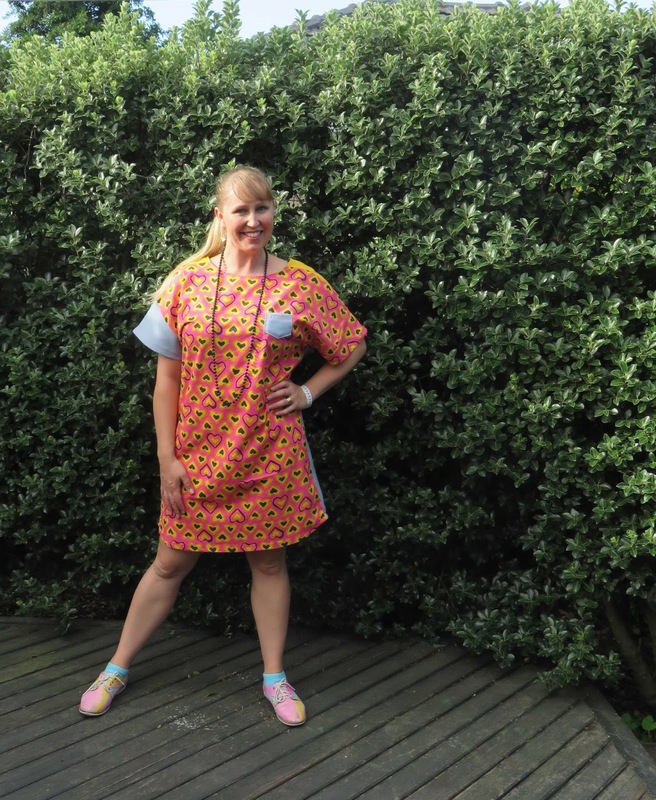 Recently spotlight had 3 patterns for $15 and, after looking through my collection, I decided I could actually do with a proper pattern for said t-shirt dresses. I chose a few patterns (woven and stretch) and McCalls 6566 which is actually a top pattern. 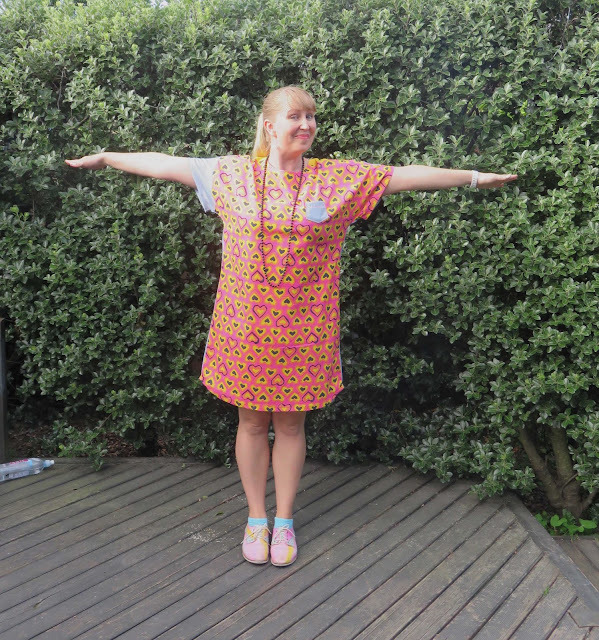 I used the bit from Deb for the front and had to add some pieces where the sleeves are because it wasn't wide enough. The back was a single piece of soft woven cotton. This pattern couldn't be simpler. It's 2 pieces plus the pocket and the neck is just bias bound. I just extended the line of the top to make it longer - ruled with the side of my monthly planner and free handed the hem. I had it half finished and then we had people to stay so I left it. After they left we were going out one evening and The Atlas pointed out that I had a stain on the front of the dress I was wearing, probably chocolate! 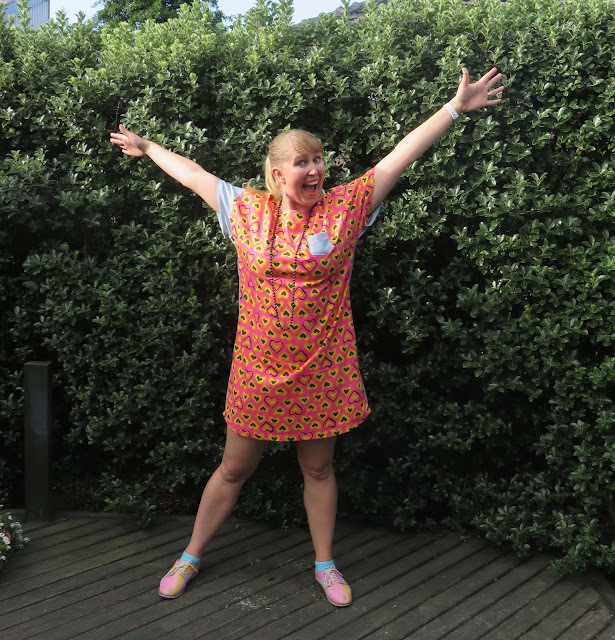 I went to get changed and saw the mostly done dress so I sat on my swiss ball in my undies and sewed wildly and 20 mins later it was done. I adore! this dress, it's so.darn.comfy. The design is so simple and that tiny pocket is so cute (even though it has no practical use and is placed in an unfortunate spot for someone who teaches children!). It totally does all the things I want and I can't wait to make some more. The pattern was $5 and the fabric for the back was less than $1. Everything else I needed was already in my sewing room. I know I'm going to wear this dress so much and now I just need to make some more combos for the next few that will churn out of my sewing room :-). The cotton fabrics also make it so nice and breathable for summer. 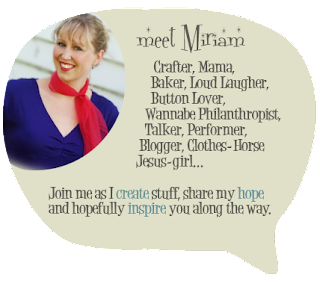 I love to start the new year with a good old chin wag with my sewing sister, who lives in my city - yay! We go through my, extensive(! ), stash and talk about what projects might go with what. 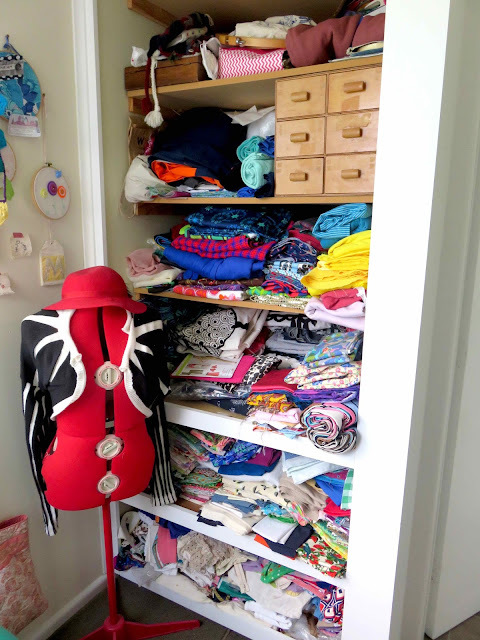 I got all inspired after that and wrote myself a nice long list of creative projects I might sew this year. 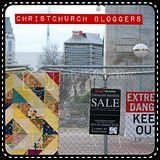 (I still haven't blogged all my other makes from 2016 yet). 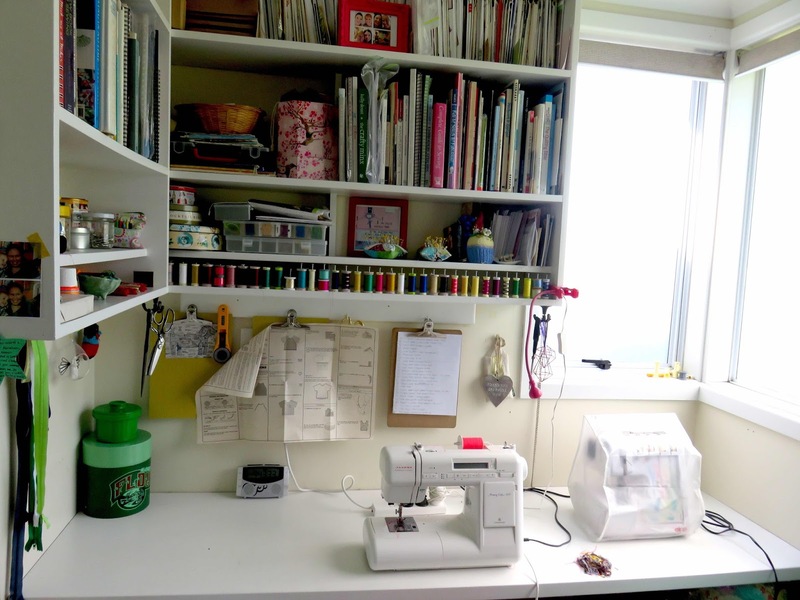 Then I tidied my sewing space and sorted a couple of shelves - such a good feeling. In the meantime my sister (the same one, I have 2 very fabulous sisters) sent me an article about people making reusable bags. 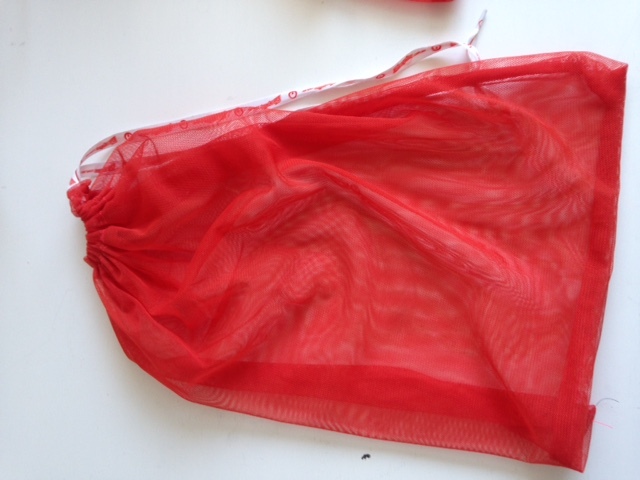 I remembered I had bought a very long piece of mesh from someone in the local community, for the express purpose of making some produce bags to replace those awful ones you get on a roll at the supermarket. 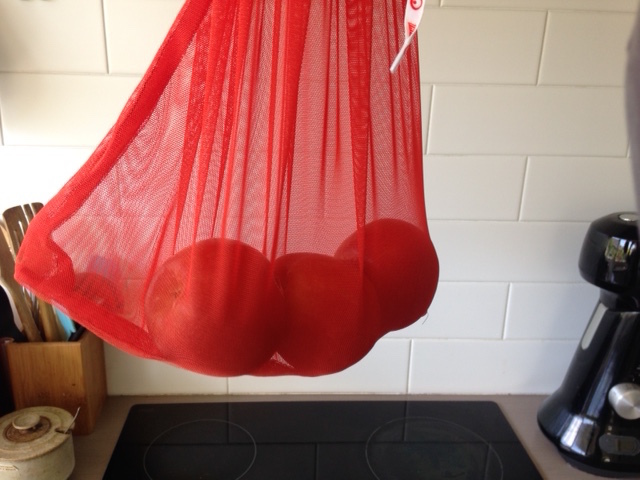 Et voila - 12 reusable produce bags and a tick on my projects list! However - resolutions was what this was supposed to be about. I'm not a super resolution maker but I like to try a challenge each year to give me a push. So these are the things I am aiming for in my creative, particularly sewing, life this year. 1. Use the stash - there is plenty of stash, it needs to be used. 2. Don't buy new - this will be hard. I'm totally ok with buying new thread if I don't have the right colour and I can't find it second hand. As for fabrics, my aim is to buy nothing brand new this year - I will buy second hand/ op shop fabric and always gratefully received off casts from others. 3. Wasters - reduce the waste coming from my sewing room. I already try pretty hard on this. I save all my empty cotton reels and give them to local pre-schools or 'Creative Junk'. I save small fabric scraps and pass these on to schools/early childhood for collage etc. 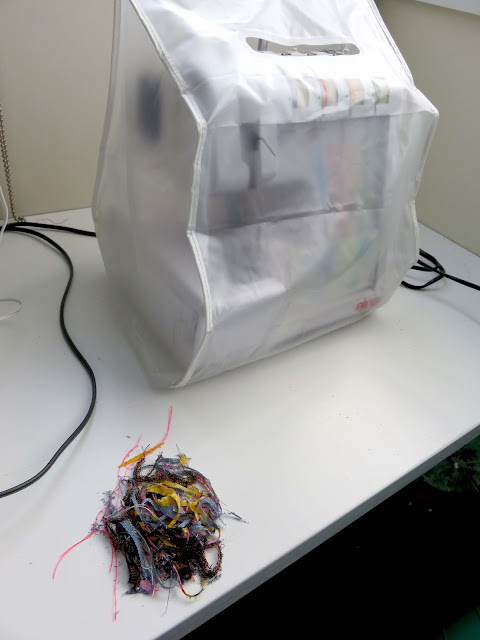 This year I also plan to be much more disciplined with my sewing rubbish bin - all paper and card to be recycled. As well as this I am making a bag for tiny scraps, thread off cuts and overlocker tales, I plan to use these to fill any soft toys I make this year along with the stuffing. Hopefully this will mean there is a negligent rubbish impact. 4. Craft time - A friend and I are planning to spend a couple of hours a week listening to inspiring podcasts and making whatever we want to. The list is part of helping me to have something to work on every week. Specific time to craft every week makes me feel very excited. So that's me... what creative resolutions are you brewing for 2017? This year I discovered Jill Mansell's books in the local library and read 3, or was it 4?, in fairly quick succession. When I get a fiction book, especially an easy read, I tend to devour them pretty quickly. I like Jill Mansell as an author. She's not too demanding or high brow but her books are well written and enjoyable. All of the books I've read of hers have been romance based but not based on characters that feel 1 dimensional or too out of the realm of ordinary people. The romance aspects are tactfully written and don't leave you feeling like you need a cold shower. The latest book I've read of hers is Meet Me at Beachcomber Bay. The book is set in Cornwall and mainly follows the journey of Clemency and that spark of connection that is long remembered, if forbidden, in circumstances outside of her control. There are several other key characters as well and each have their own difficulties to face when it comes to love, secrets of the heart and a past that wants to catch-up. There are the inevitable crossed wires and the lovely resolutions, for most, or maybe all - you'll have to read it to find out. What I enjoyed about this novel was that it didn't unfold predictably - there were some kinks in the road and some unexpected revelations that kept the story moving and engaging. I felt like the characters had some depth and there weren't any perfect or perfectly awful (well maybe one) types. My critique would be the cover choice for the softcover version - for me it makes the book look like a YA fiction in terms of the photo of the characters and setting. I think the book is much more than the cover suggests, luckily I never judge a book by its cover!! This is a really feel good read and great for chilling on a deck with a fabulous view over the beach and dreaming of a beach house entirely out of financial reach. Thanks to Hachette NZ for an advanced reading copy. All opinions expressed entirely my own, naturally. 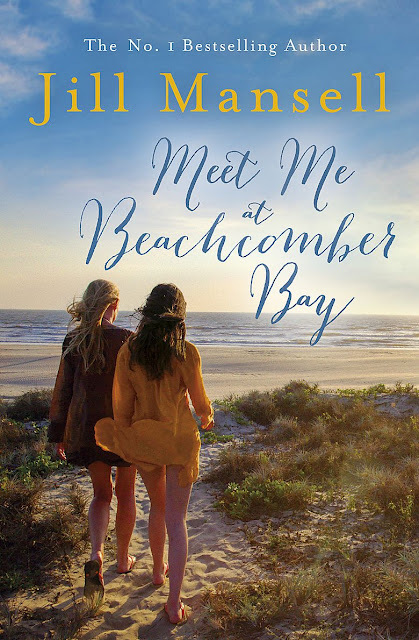 Details - Meet Me at Beachcomber Bay, by Jill Mansell Hachette NZ 10 Jan 2017, RRP $34.99 also available as an ebook.